The Zayed Sustainability Prize is among the world’s largest annual prize funds in renewable energy and sustainability. The Prize honors the development philosophy of the late Sheikh Zayed Bin Sultan Al Nahyan, former head of state and conservation leader of the United Arab Emirates. Global high schools (awards to one high school in each of the Americas, Europe, Africa, Oceania, and Asia). The prize amounts are US$600 thousand in each category. The prize money for the category Global High Schools is divided between six school winners, each from six world regions. APPLICATION: The Future Energy Prize makes annual awards, some by nominations and others by applications. Nominators and applicants can find sample submissions, video tutorials, recommendations for how to prepare winning submissions, and frequently asked questions. Nominations and submissions are made in English before the specified deadline. The website of the Zayed Future Energy Prize is available in Arabic and English. 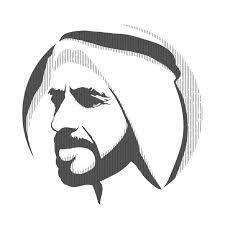 The environmental interests of Sheik Zayed are summarized in a brief biography. Previous prize winners and finalists are identified by categories and years. Contact provides an email contact form and additional information.